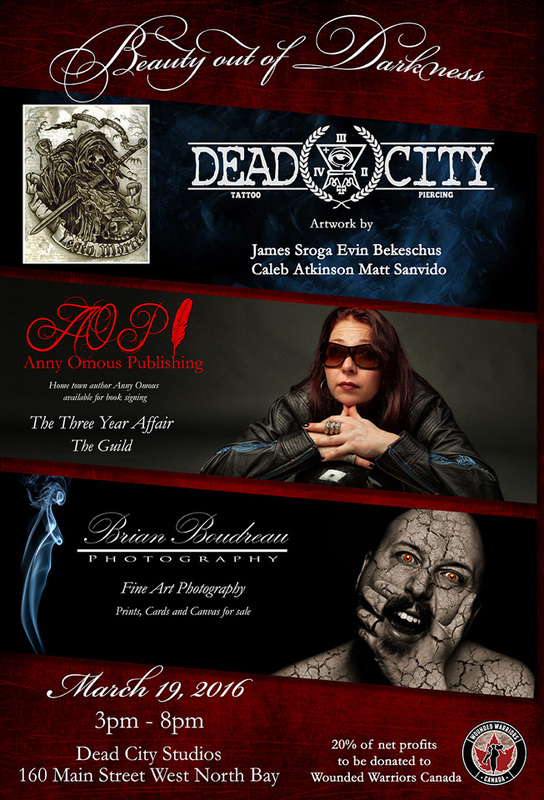 On Sat March 19th please join us at Dead City Studios 160 Main Street West. North Bay Ontario for an evening showcasing local artists, photography by Brian Boudreau Photography, and books by author Anny Omous Publishing. 20% of our net profits to be donated to Wounded Warriors Canada. Sounds like a great event and a great cause! Wish I could be there.